The question of whether ITIL® and DevOps are related is not new. People have many conflicting views on the subject: some argue that ITIL and DevOps have different mindsets, some say that they are compatible. Our view is that the two concepts are compatible and can support the mindset needed to improve IT services delivery. This white paper focuses on the impact of DevOps on IT organizations that currently work with ITIL best practices. 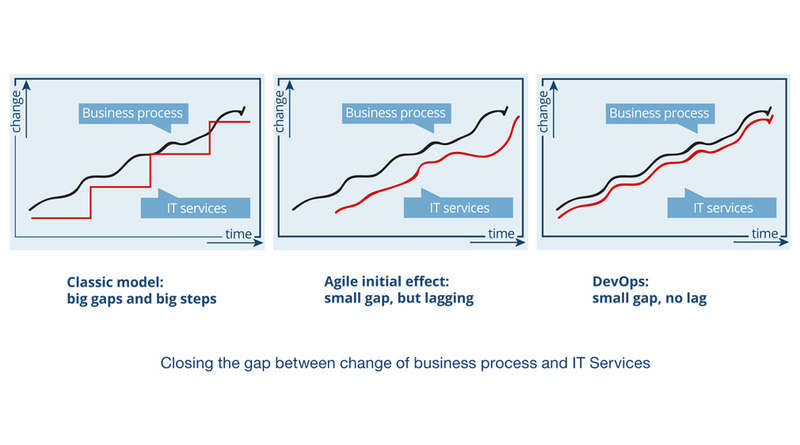 How does DevOps impact service design, transition and operation phases, and IT processes in general? But first we need to define what DevOps and ITIL actually are. Is it a culture? Is it a job title? Is it a way of organizing? Or just a way of thinking? Well, there are several opinions, but before we address the “what”, let’s address the “why”. The rise of cloud-based web applications is putting IT under pressure. The IT user community is demanding quick releases in response to issues or requests and this often results in more defects in operations due to poor development quality. IT cannot afford to lose out; it must respond rapidly and, at the same time, innovate and reduce operational costs. This is also true for daily change. The common challenge of many IT organizations is: how can IT cope with the changing demand for IT services? Change is the new Run while staying in control of delivering IT services to production. DevOps attempts to solve this problem by developing a symbiosis between development and operations. DevOps focuses on creating a fast and stable workflow through development and IT operations. This means features can be deployed into production quickly, and problems can be detected and corrected as they occur. 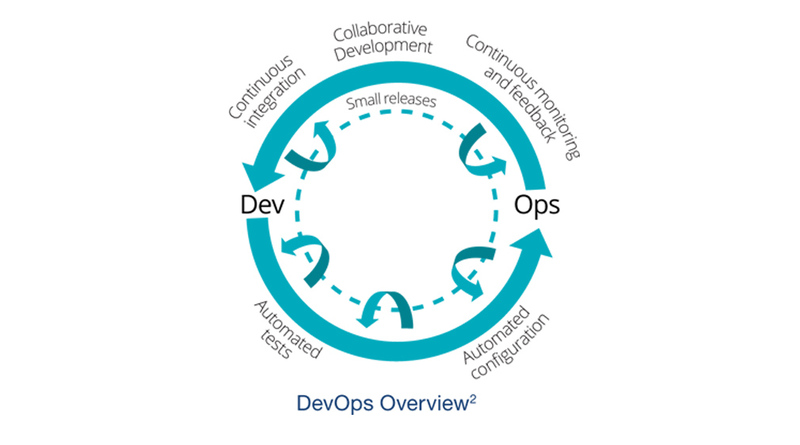 DevOps is considered to be a new approach to the traditional application lifecycle management process or Systems Development Life Cycle (SDLC) methodologies such as Waterfall and the V-Model. To increase the involvement of the business, more iterative and incremental (Agile) software development methods are introduced such as rapid prototyping and Scrum. Most development methods lack the involvement of operations and maintenance specialists and infrastructure specialists. DevOps is an SDLC method in which Lean and Agile principles are combined with the involvement of all IT specialists. Implementing DevOps is considered to be a journey for which the experience of the organization is the starting point. You can read more about DevOps and implementation journeys in our white paper ‘Four DevOps Journeys to Agility & Continuity in Your Organization’. ITIL is a set of practices for IT service management (ITSM) that focuses on aligning IT services with the ever-changing needs of the business. ITIL describes processes, procedures, tasks, and checklists that can be applied by an organization for delivering value in the form of IT services. It is interesting to note that ITIL also serves as a benchmark for product vendors selling IT management tools; in fact, they often market their IT service management tools as “supporting” ITIL processes. The question that now arises is: is ITIL still relevant in today’s Agile world that DevOps has taken by storm? Before we dismiss ITIL, we should remember that ITIL is a best practice. Moreover, one of the success factors of ITIL is that it is non-prescriptive. ITIL is not explicitly opposed to Agile and DevOps. The Service Design volume supports iterative and incremental design, and mentions Agile and XP. 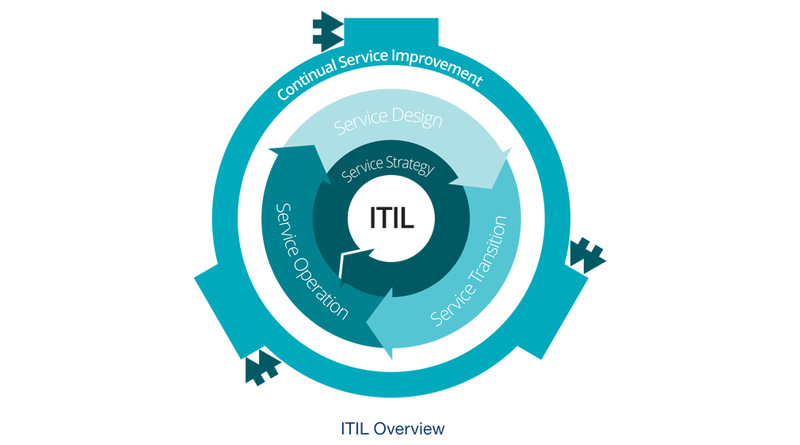 ITIL advocates continuous feedback between the phases of the ITIL Service Lifecycle. Nonetheless, the implementation of ITIL in organizations is, in many cases, suboptimal. This can be due to a lack of capabilities or tools but in many cases it is caused by a short term focus (processes don’t matter, we want results) and paying too much attention to continuity, stability and security (which prevents flexibility). Moreover, ITIL does not deliver best practices for developing systems. Although the concept of strategizing what services to offer and the envisioned value remains unchanged, ITIL phases such as design, transition, operation and CSI cycles will be affected by DevOps. But what impact does DevOps have? Adopting DevOps changes the way we design, transition and operate IT services. It is a new journey similar to the initial implementation of processes like Incident Management. Gene Kim’s “The First Way: Systems Thinking” emphasizes the performance of the entire system, as opposed to the performance of a specific silo of work or a particular department. Was this ignored in the ITIL Service Design Package (SDP)? Not at all – the SDP is very exhaustive in terms of considering future changes, managing scheduled downtimes and adopting varying levels of monitoring and event thresholds. So, in that sense, ITIL does advocate “Systems Thinking” from the start. However, in design, we must contend with microservices, a concept that has become popular with DevOps. Typically, most architecture is layered in terms of presentation components, business logic, database access and integration logic. This new way of organizing the architecture results in organizing the development team into functional units such as User Interface team, Database team, etc. Microservices facilitates a software architecture in which complex applications are composed of small, independent processes communicating with each other using language-agnostic application programming interfaces (APIs). 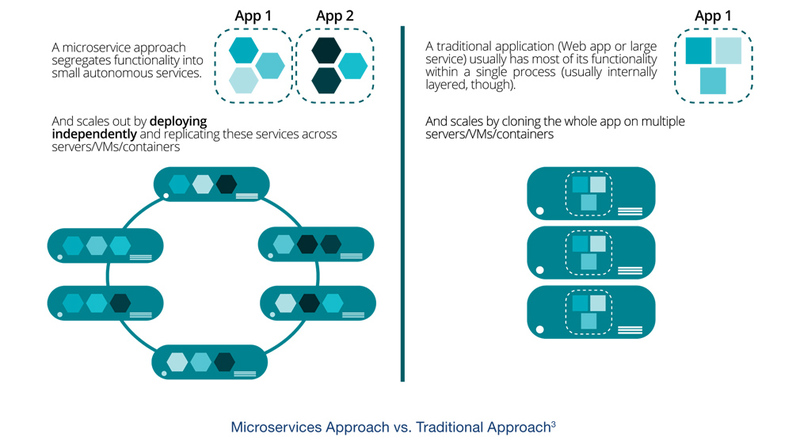 Microservices enables teams to work independently and accelerate development and deployment. The efficiency of the service design process increases when the architecture is properly defined. All the best practices of ITIL (like the service catalogue, capacity management and security management) are still very useful when defining this architecture. When talking about Service Transition, we have to include continuous integration and continuous delivery. Gene Kim’s “The Second Way: Amplify Feedback Loops” is about right to left feedback loops i.e. from operations to development. The release pipeline has higher visibility at all control stages. Rather than having large chunks of infrequent changes, we must permit – and even encourage – frequent small changes, thus reducing the risks associated with large infrequent changes. Integration must be considered upfront, from the very beginning. 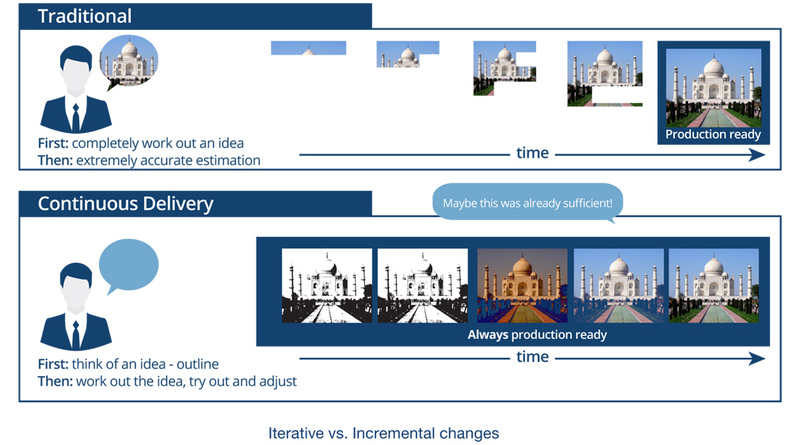 The traditional incremental approach calls for a fully formed idea from the outset, whereas DevOps uses the best practices of Agile to deliver services. This allows you to move from a vague idea to concrete realization. In Service Transition we see the power of new technology implementations (the automation of testing and automatic deployment of infrastructure) to increase change velocity while preventing errors. What about changes to the Service Asset and Configuration Management (SACM) process? DevOps advocates delivering continuously into varied environments. All configurations are specified in version-controlled blueprints that are automatically applied and monitored for any deviation at all times. Pre-boot execution environments deploy solutions into target machines driven by deployment engines. This is different to the traditional way of working, but it is in line with the goals of SACM to document all the relevant information on software and hardware assets including change history. You could say that SACM is much easier to implement thanks to the new tooling that is also responsible for the success of DevOps. When it comes to testing, the ITIL Service Validation and Testing process advocates the testing of service requirements (functional and non-functional). Test-driven development was used in Agile environments even before DevOps was born. DevOps calls for continuous integration wherein any change tracked in a source code control system triggers test cases and the developer is immediately notified of the results. Basically, new functionality won’t be added until the quality is good. Here we see that the new technologies and methods that feed DevOps will also enhance the implementation of ITIL in organizations. When it comes to Service Operation processes such as incident management, the cross-functional team made up of development and operations staff takes end-to-end responsibility for delivering services at acceptable levels. This implies that as they pick items from the product backlog, the development team will pick change requests, service requests, incidents and problems based on priorities set by the product owner and formalized in a Service Level Agreement. The go-live activity would be another service request that is accomplished by the push of a button – which means canned deployments into various environments must be planned and designed upfront. The subsequent monitoring and setting of appropriate thresholds at the component and service level is performed while keeping in mind the service level agreements with the business. The concept of Service Management adds value in managing the interaction between the various DevOps teams. For example: the change of one system delivered by one DevOps team should not hamper the systems of other teams. This will require Change Management. With respect to Continual Service Improvement (CSI), the sixth step – How do you keep the momentum going? – is about continuous improvement in the form of Plan-Do-Check-Act, which matches the DevOps activity of feedback cycles that ensure the delivery of high quality in an incremental fashion. In this respect, DevOps teams rely heavily on Lean IT principles for embedding continuous improvement into their way of working. Sound advice on new possibilities and the alignment of changing business needs with the existing IT (this is still the field of IT consultants and architects). Agreed changes to be delivered as soon as possible. In this regard, the added value of DevOps is important. ITIL change and release management can serve as quality control in this requirement. IT to keep running without interruption. Here, ITIL offers a lot of added value, but even more reliable services can be realized in combination with DevOps. The delivery of the IT services requested. ITIL also provides added value in this respect. It is simple to define what the customer wants, but it is harder to realize flawless delivery. For this reason we see that the implementation of ITIL, DevOps and all other methods are change journeys in which every step also has to deliver value. Experiencing such a journey together makes it more enjoyable and faster. When combined, DevOps and ITIL result in integrated business, development and operations teams that take end-to-end responsibility for achieving business goals. DevOps turbo-charges ITIL: as the new kid on the block, with best practices for the delivery of new services while maintaining existing ones, DevOps can support the agility and reliability of IT services and provide the business with optimal value. DevOps accelerates the pace of ITIL and brings high visibility to all stakeholders to quickly address issues and move forward. This enables the faster delivery of high-quality IT services, and in so doing erases some of the criticism that ITIL has received. 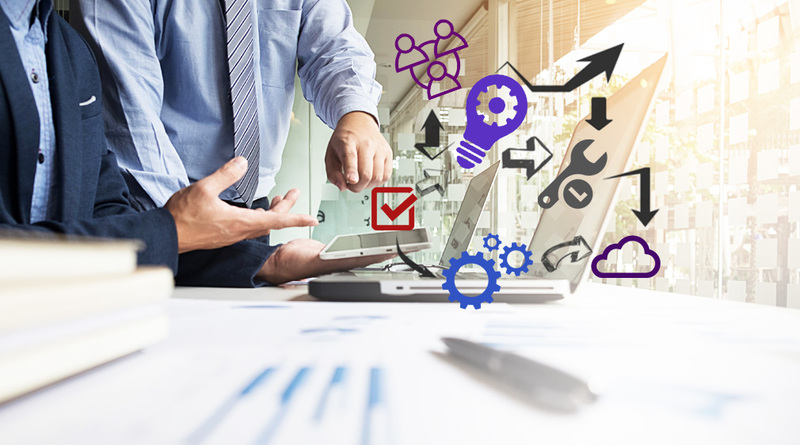 ITIL can support DevOps teams with best practices to specify and deliver reliable services and enhance collaboration between the various teams, specifically when not all teams are working DevOps. ITIL needs to stand tall in the face of the DevOps storm. We advise ITIL process managers to fasten their seatbelts for a bumpy ride and we recommend DevOps gurus to use the ITIL best practices which have already served the industry well for more than 20 years!